Het sudomotorische wordt geregeld door en heeft betrekking tot een afdeling van de sympathicus, of het zijn de zenuwvezels die de activiteit van de zweetklieren beheren (post sympathisch cholinerge vezel of C-vezels). Bio-elektrische impedantie analyse (BIA) is een veel gebruikte techniek voor het schatten van de lichaamssamenstelling en het is vooral nuttig bij grote, bevolkings-gebaseerde studies want het is snel, draagbaar, goedkoop en niet-invasief. De galvanische huidreactie wordt gedefinieerd als een verandering in de elektrische eigenschappen van de huid. Het signaal kan worden gebruikt voor het vastleggen van de autonome zenuwresponsen als parameter van de zweetklierfunctie. Door middel van het meten van de zweetsecretie (galvanische huidweerstand) verkrijgt men zinvolle informatie over het autonome zenuwstelsel en de microcirculatie. Hartslagvariabiliteit (HRV) is het fysiologische fenomeen van variatie in de tijdsinterval tussen de hartslagen. Het wordt gemeten door de variatie in de slag-tot-slag interval. De foto-elektrische plethysmografie toont de contouren van de perifere pulsgolfvorm gerelateerd met de volumeveranderingen in de slagaders. Telemedicine is het gebruik maken van telecommunicatie en informatietechnologieën om vanop afstand klinische gezondheidszorg te bieden. In the human body, low resistance is associated with large amounts of fat-free mass and low fat mass . 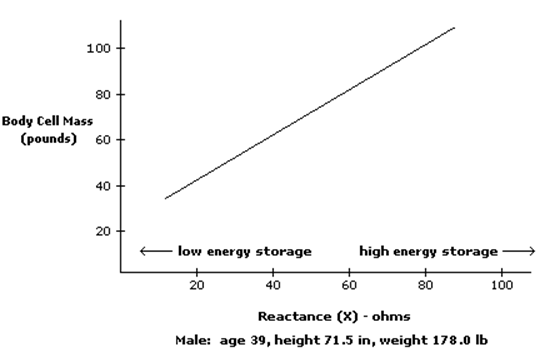 High resistance is associated with smaller amounts of fat-free mass and high fat mass. There are several approaches to measure Bioimpedance that should be chosen depending on the desired characteristics of the system built. Null Techniques: Detection with this technique is very simple and it is based in a simple ampere meter. The most common method used is a Wheatstone bridge. This is a high accurate method with the inconvenient of needing a large number of electronic components and not being time efficient in some applications because of its iterating process. Deflection Techniques: The impedance estimation is done by measuring the voltage drop or the current through the load as a response to an alternative known current. This method is based on simple electronics using complex operations. Due to Measurements of Bioimpedance & Instrumentation this an application specific integrated circuit or microcontroller is needed to carry these operations. Its main characteristic is the time efficient, being able to do short time accuracy measurements. 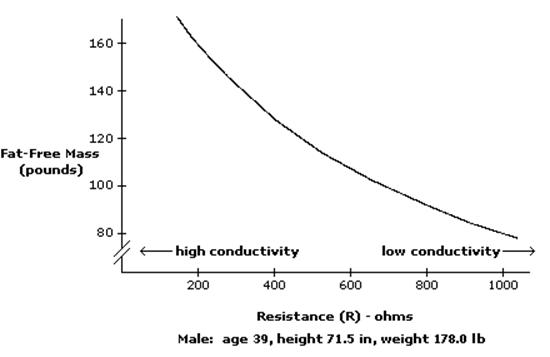 For the impedance estimation we are going to focus only in the deflection techniques that are those that are commonly used in bioimpedance measurements. In impedance estimation is it possible to do single frequency and multy-frequency analysis using different techniques, basing the study in the known excitation provided and the measured obtained. So for single frequency or sweep frequency measurements usually Sine Correlation is used and for multi-frequency measurements it is common used the Fourier Transform. Symptoms of lung edema usually appear at a very late stage when the amount of fluid in the lungs has already sextupled. At this stage, the patient typically has dyspnea (short breath) and hypoxia (low partial pressure of oxygen in the blood) because of impaired gas exchange due to the increased interstitial fluid volume. As a consequence, the patient is usually committed to an intensive care unit for medical treatment. Preclinical detection and continuous monitoring of the lung fluid volume during medical treatment would enhance medical care while reducing costs.